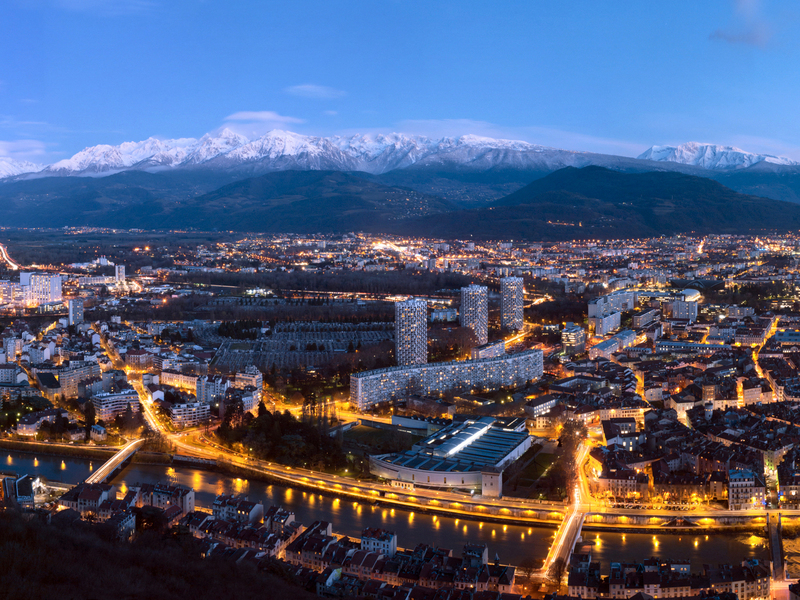 Maria Elena Torres Padilla and Robert Schneider are organising together with Abcam a meeting in Strasbourg in October 14th-15th, 2014. 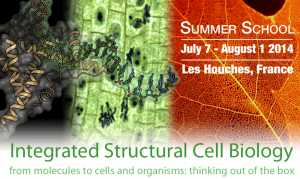 They have a great line of speakers confirmed, and hope to link major aspects of chromatin regulation from omics approaches to single cell approaches. Registration deadline is coming soon ! If you have any questions, please don’t hesitate to ask them! It is located in Les Houches, near Chamonix (France), from July 7th – August 1st. Please take a look at the website, and help spread the information! We broke the record of EMBL site entries ! We would like to thank you all for coming to our last meeting at EMBL/ILL. Apparently, we broke the local record in the number of site entries ! They did not have enough visitor badges at the entrance! Next time, we will use a more efficient way of registration! The next meeting will take place at the IAB on September 19th 2013. The main seminar will be presented by Sophie Polo, head of the Group Epigenome Integrity (Unit Epigenetics and Cell Fate, Paris). Sophie Polo is studying molecular players that control histone dynamics and alterations in higher-order chromatin structure in response to genotoxic stress (website). The short talks and the final program will be announced soon! Our next meeting will be on Thursday April 4th 2013, at 10:00 am at the EMBL. We are delighted to announce that thanks to you and your interest in this community, the first Symposium of our “Club” will be in the fall. This Symposium is entitled “Signaling Through Chromatin” and will gather exceptional speakers from France, Europe and USA. It will be at the Conference Room of the Institut Laue-Langevin / EMBL (see below for more details, access map here). Unless you work there, an entry permission is required. Please email site@embl.fr a few days ahead with the following information: Name, city and country of birth, nationality, name and address of your institute. Please bring a valid ID to obtain the pass. Coffee break and lunch will be provided by Active Motif. Please help us advertise the event! The full resolution flyer is accessible here. Fall is back and our next meeting is approaching ! Please note that the date changed, and the meeting will be on Thursday November 29th 2012, at 10:00 am at the iRSTV. The location is the Maison Minatec (see below for more details, access map here). This conference room is on the CEA campus, and the entrance is free !! Located in front of the tram stop “Cité Internationale”, it is particularly easy to reach using public transportations (tramway, bus or train). It also has two parking lots nearby. Click here to have a full size map. In higher eukaryotes, the absence of specific sequence motifs marking the origins of replication has been a serious hindrance to the understanding of the mechanisms that regulate the initiation and the maintenance of the replication program in different cell types. During the course of evolution, mutations do not affect equally both strands of genomic DNA. In mammals, transcription-coupled nucleotide compositionalskews have been detected but no compositional asymmetry has been associated with replication. In a first part, using a wavelet-based multi-scale analysis of human genome skew profiles, we identify a set of one thousand putative replication initiation zones. We report on recent DNA replication timing data that provide experimental verification of our in silico replication origin predictions. In a second part, we examine the organisation of the human genes around the replication origins. We show that replication origins, gene orientation and gene expression are not randomly distributed but on the opposite are at the heart of a strong organisation of human chromosomes. The analysis of open chromatin markers brings evidence of the existence of accessible open chromatin around the majority of the putative replication origins that replicate early in the S phase. We conclude by discussing the possibility that these “master’ replication origins also play a key role in genome dynamics during evolution and in pathological situations like cancer. Micro-RNAs (miRNA) are small non-coding RNAs that regulate gene expression through RNA interference (RNAi). Human miRNAs are generated via a series of enzymatic processing steps. The precursor miRNA (pre-miRNA) is recognized and cleaved by a complex containing the RNase III enzyme, Dicer, and several non-catalytic accessory proteins. HIV TAR element binding protein (TRBP) is a constituent of the Dicer complex which augments complex stability and potentially functions in substrate recognition and product transfer to the RNA-induced silencing complex (RISC). Here we have analyzed the interaction between the RNA-binding region of TRBP and the oncogenic human miRNA, miR-155, at different points in the miRNA biogenesis pathway. We show that the region of TRBP that binds miRNA precursors comprises two independent double-stranded RNA binding domains (dsRBDs) connected by a 60 residues flexible linker. No evidence of contact between the two dsRBDs was observed either in the apo form or in the RNA-bound state. The RNA-binding region of TRBP interacts non-cooperatively with pre-miR-155 and the related Dicer product miR-155/miR-155* and can form a complex with two protein molecules per RNA. Finally, we determined that the RNA-binding region of TRBP interacts with pre-miR-155 and miR-155/miR-155* via the same binding surface and with similar affinity, suggesting that the RNA binding region of TRBP could function before and after processing of pre-miRNAs by Dicer. 12:00 Lunch provided by Active Motif.